A Lead is basically a consumer who shows voluntary interest in a particular businesses’ products or services. Attracting these leads to your business with the help of various smart marketing techniques is called Lead generation. In case of B2B lead generation process, your leads or consumers are other businesses you need to attract. For example, you specialize in corporate gifts and gift wrappers. You have a website and social media presences for the same as well. Now with your online business set in full swing, you need to create awareness amongst other businesses, acquire customers and bring in sales. For this flow to take place smoothly, you need to generate quality leads first! Before you jump in to know the B2B (business to business) lead generation mechanism in detail, set your online business on track by indulging in these 4 secret ingredients of a successful online business! A recent report put together by a renowned marketing website reveals that over 63% marketers find steady lead generation as a key challenge. Once the high-intent consumers submit information via the form, they are your ‘leads’. Now you can connect with them directly. Send curated content such as engaging industry newsletters, product updates and so on. Remember: A consumer who signs up voluntarily will never push your emailers in their spam. They want your service and so you need to make their need stronger by nurturing them well! 1.The traditional way: Customer referrals, magazine/newspaper advertising, tele- calling, events etc. 2. 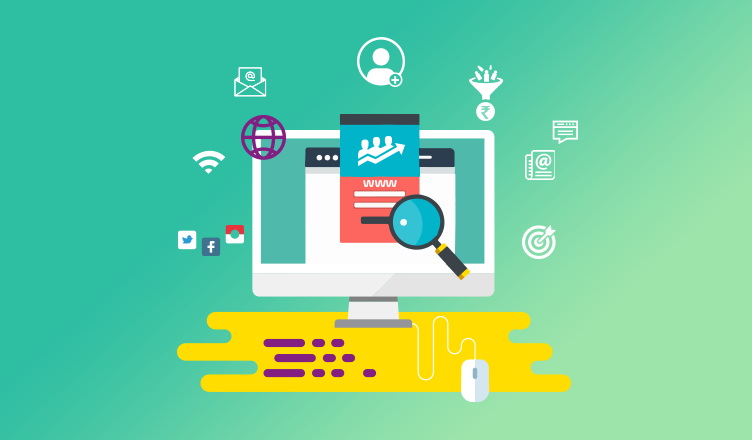 The non-traditional way: Search engine results, social media, digital marketing and more. However, you cannot hand the trophy to either of them as both play an important role in generating higher leads. You Require B2B Lead Generation? 67% of B2B marketers put forth that, they see at least a 10% increase in sales opportunities through lead generation. Yes, you do! One of the biggest secrets to a successful business is a new lead generation. A consumer lands on your website or blog because it’s their need and they happen to search deeper for it. They did their job! Now, it’s your job convert these consumers into customers by implementing an appropriate marketing strategy. If you fail to target the right audience, at the right time, all of your efforts in building your brand goes in vain. Thus, lead capturing is an important step to grow your business. 1. Write blogs & e-books: Choose diverse topics to write on. For example, if you are a fin-tech or payments company like PayUmoney, you can write about various digital marketing trends and strategies as well apart from payments. This allows you to target a large audience, who not only owns a business and want a payment solution but also, wants to market their business well. Further, you can churn out useful e-books as well for better traction. 2. Use social media: Social media, on the other hand, is the modern-day bullet! Plan quality campaigns on Facebook, Twitter, Instagram. Boost these campaigns if necessary or you can opt for the complete organic route as well. Give relevant action buttons or commands as well. You can also run contests on your social media channels. 3. Create effective CTA: A CTA is a ‘call to action’ which redirects your audience to the right URL or window. 4. 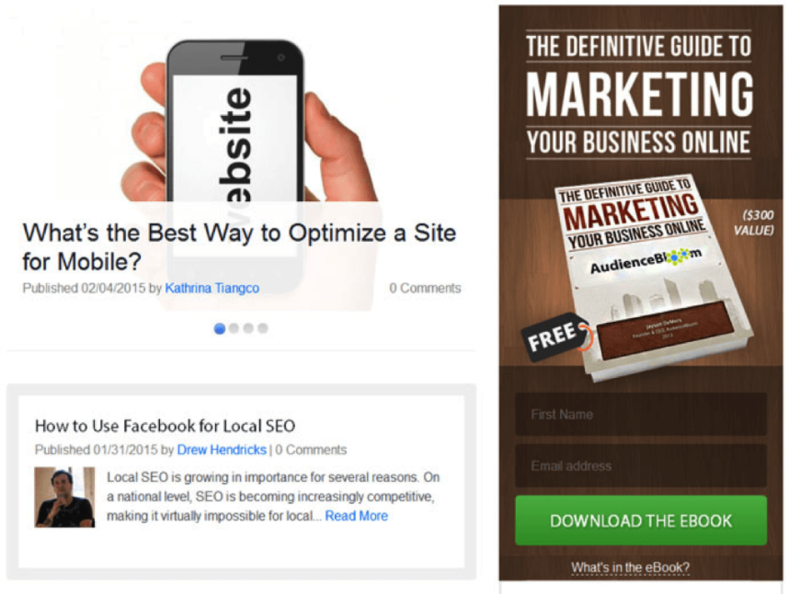 Add relevant pop-ups: A pop-up is used to collect direct leads. There are various kinds of pop-ups you can use on your website: exit intent, interestial, banner, side push. Usually, websites use interstitial pop-up which gets displayed right in the center of the web page to gage attention. Even banners prove to be useful. Choose pop-up style as required. 5. Slide in request after page scroll: As the name suggests, this is one of the easiest ways to generate leads. Slide in a request to ‘subscribe’ after someone scrolls through X% of your entire page. As per research, sliding in after 80% of page scroll gives the best results. Pro-Tip: Use SumoMe to track the heat map and target your audience accordingly! 6. Add a side bar: Side bar is one of the best places to add a subscribe form. Just by setting up an appealing subscribe box on your sidebar, you can gently attract a lot of visitors. 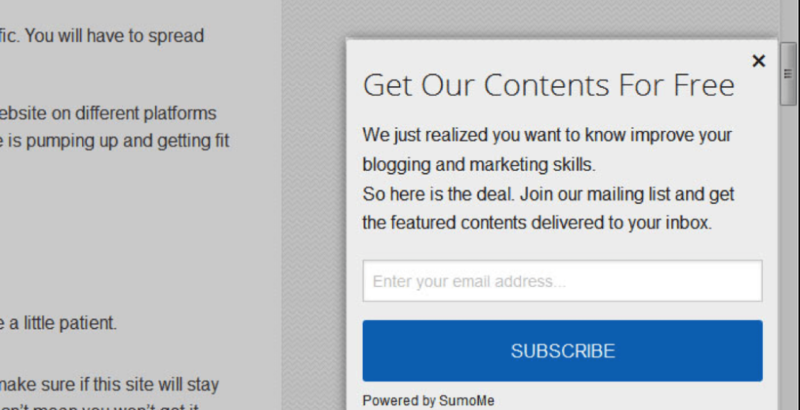 Ask them to subscribe to your blog or a newsletter by clicking on a relevant CTA. 7. Launch a dedicated landing page: Keep a particular section of your entire website or blog dedicated to subscriber button. Here, offer something that will attract the visitors and design it beautifully. Apart from the above-listed ways, you can also run contests, use videos and gaming for a useful B2B lead generation. What Lead Information To Capture? You can choose any or a combination of the information to be captured from the ones listed above as per your industry type. Businesses mainly ask for the basics: name, email & contact. FieldBloom: FieldBloom is an all in one customer feedback form-creating tool. Create beautiful surveys, CRM and lead forms and increase your B2B lead generation. Sumo: Sumo is one of the most popular tools that provides multi features like creating pop-ups, welcome pages, social share bar and heat maps. Instapage: Instapage integrates with popular marketing and Customer Relationship Manager (CRM) platforms like MailChimp and Hubspot. It offers drag and drop landing page creation feature along with heat maps. Vyper: Vyper is a tool for creating viral contests. It allows you to make best of your ideas by adding actions like filling a form, asking customers to follow social media profiles and so on. Find out the top 41 B2B lead generation tools you can use to upgrade your online business now. Make a way through your sales team to implement your campaigns in the best way! Remember, the more you tweak and keep experimenting with your and B2B lead generation ideas, the higher is the probability of welcoming new leads. With all your marketing efforts for your business in place, it’s a good idea to have an all-in-one payment solution in place as well. Sign up with PayUmoney now to enjoy the best payment gateway experience and grow your business effortlessly!